For a number of years, Mohammed has been involved in a significant number of long and complex cases; acting as both the defence and prosecution. Often, the cases have involved extremely able senior counsel, either leading Mohammed or representing other parties in the case; such opportunities have enabled Mohammed to learn from these advocates, enhancing his own skills in these areas. Mohammed places emphasis on developing good, clear lines of communication with instructing solicitors and, where appropriate, officers involved, so that any developments to the case are frequently informed. This is based on recognition that, as Counsel, he is one step removed from direct knowledge of factual developments. The responsibility of advising on legal and procedural matters thereafter, of course, rests with Mohammed. This is exemplified with R v Pervez and Priddle, where early and regular conferences meant that a murder trial involving 12 witnesses from Pakistan was able to run smoothly and efficiently (see CV for full details). Regular conferences are complemented by written advices addressing evidential matters, where required. 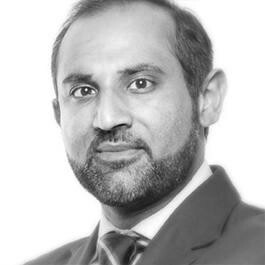 Mohammed strives to encourage a policy whereby instructing solicitors feel able to ask for advice at short notice, by email and feel confident that they will get a comprehensive and timely response. "A thorough and diligent junior counsel, especially in fraud matters"